Last year while attending the Microsoft BUILD conference I got to see the debut of ML.NET in person. After going to the intro session, I was amazed at the potential opportunities at both work and in my own personal projects (like my image scaling project I work on from time to time). Over the time since the initial 0.1 release they have released a new version every month adding tons of new features. As they rapidly approach a 1.0 release I figured it was time to do another deep dive. As fate would have it, a recent discussion among co-workers about employee retention and predicting when a co-worker would leave came up. My previous deep dive into ML.NET was in Binary Classification only, which would flip the question around to: given a set of attributes is the person going to leave. Using this as an opportunity to grow my ML skillset, I started my deep dive into SDCA (Stochastic Dual Coordinate Ascent) with a Regression Task. Since last deep diving into ML.NET the API has changed considerably (mostly for the better), and fortunately have the moved deprecated calls to a Legacy namespace to avoid forcing major refactoring on anyone who wishes to use the latest version (0.8 at the time of this writing). When thinking about factors that could be treated as a feature in our ML model I reflected on the various people I have worked with my career and snapshotting data that could be tracked at the time they left/got fired. Knowing this was not a unique thought process and surely not the first to use ML for this problem, I came across a dataset from Kaggle. This dataset, while fictional, was created by IBM Data Scientists and provided what I was looking for: another set of minds thinking about features. Their dataset offered quite a few more features than I had come up with, but had all of the features I had come up with as well. First off, all of the code discussed here is checked into my ML.NET Deep Dive repo. Feel free to clone/improvement/give feedback. The Label Attribute in this case is a custom attribute where I use it to filter out the anomalous data (someone there for 0 months or 12+ years). To keep the code some what generic I wrote a couple Extension Methods so I can use C# Generics (thinking longer term I could re-use as much of this code for other applications). These are found in the mldeepdivelib\Common\ExtenionMethods.cs file. Thankfully most of these steps are extremely easily, especially compared to TensorFlow (you have to drop back to Python in TensorFlow’s case). First thing I do here is read in a File, parse the JSON and then convert it to the type of T to feed into the Model. The method then returns the Prediction. On my Razer Blade Pro, it took less than 2 seconds to train. Afterwards I had my model. Given the sample set, this is far from being even close to be considered solved. However, it did give me a chance to deep dive into ML.NET’s 0.8 API, SDCA and digging around for sample data. Looking forward to continuing research into other Trainers that ML.NET offers – stay tuned. A long time ago back in 2003 I had the amazing idea to use nVidia Cg on my GeForce 4 Ti4400 to accelerate image processing. I coined it imgFX at the time. While at the time I thought I was doing something no one else had, I quickly learned I was not and eventually shelved the project. Several years later in May 2008 I revived it with the HD Revolution rapidily approaching, renaming it to texelFX. People had Standard Definition content and wanted to quickly release High Definition content cheaply. Using my Silicon Graphics Octane 2 (Dual R12k400mhz/V6 graphics) at the time I was writing a C++ OpenGL application to handle the scaling using the exclusive Silicon Graphics OpenGL extensions. This was working pretty well, although my scaling techniques were not much more advanced than a Nearest Neighbor scaler - I was struggling at the time with a Bicubic scaler (mostly due to my more mid-level programming abilities at the time). Results were sub-par mostly due to my programming abilities at the time. Fast forward to late summer 2017, I upgraded the GPU in my desktop to a GeForce 1080ti to take advantage of the numerous Cuda Libraries to accelerate floating point operations like I needed for image scaling. At that time I created the Github repro, if I ever become unshamed of my 2008 deep-dive I will commit them to a separate repo. 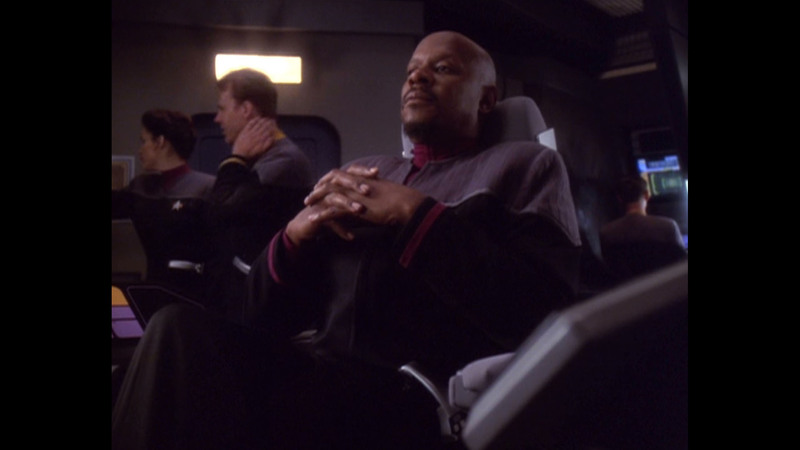 The main reasonly for reviving the project was the news earlier in 2017 that Star Trek: Deep Space Nine would most likely never get a proper 1080p or better remastering. While you could argue, popping the 2002-2003 DVD releases in a UHD upscale enabled blu-ray player might make it look the best it possibly could, I would argue those are not taking advantage of machine learning and simply applying noise reduction along with a bicubic scale. 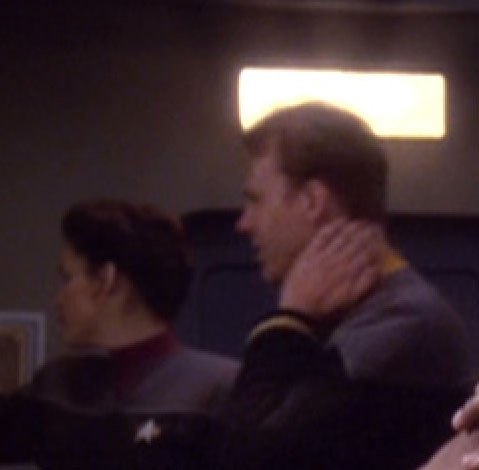 The issues mentioned above in the DVD screencap are only exacerbated by the scaling, making the quality even worse when viewed at the new upscaled resolution. 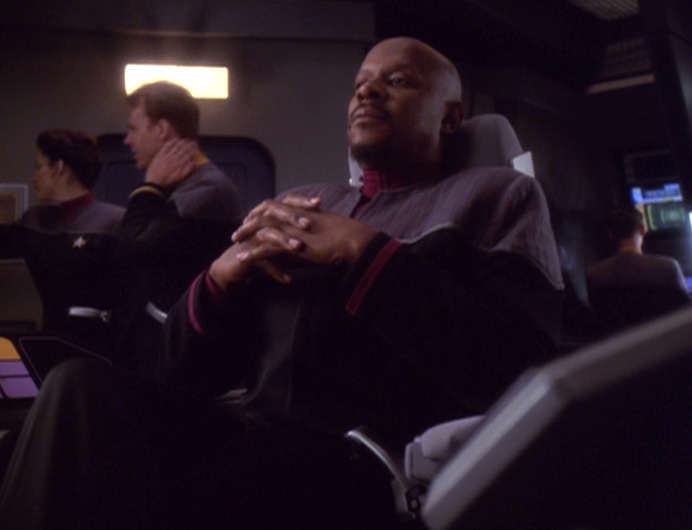 And with any luck provide myself a true High Definition of Deep Space Nine. With my goals outlined, the first step is to deep dive into the https://docs.microsoft.com/en-us/cognitive-toolkit/ and begin training a model to provide goals 2 and 3 a viable solution. Continuing my dive back into C++, libcurl by default on Windows does not come statically compiled so I packaged together the latest release compiled on Visual Studio 2017 in Release mode statically with ipv6 and ssl enabled. You can get the executable, header aand lib here. Figuring most folks diving into FLTK might be developing on Windows and not wanting to pull down the source and compile it yourself. I compiled the source on Visual Studio 2017 in Release mode. You can get the header aand libs here. Over the last week I have spent significant time in flushing out the UWP Client for bbxp. In doing so I have run into several interesting problems to overcome. This blog post will cover the ones I have solved and those that I uncovered that are much larger scope than a simple UWP client. A simple approach to displaying the content that is returned from the WebAPI service would be to simply use a WebView control in XAML and call it a day. The problem with this approach is that in my case I am using two css files, one for bootstrap and one for my custom styles. Without the CSS styles being included I would have to either accept that the syling would be inconsistent or come up with a way to inject the CSS into the response item. Pretty simple approach and efficient so lets dive into the code. This way whether I am loading several WebView controls in a list or just a single instance my code behind on the pages is clean. In doing this "port" to UWP I quickly realized maintaining CSS and XAML styles is going to be problematic at best, especially when adding in Xamarin Forms ports to iOS and Android down the road. I have run into this situation before at work on various projects, but in those scenarios the application styles were pretty static as opposed my blog where I update the syling fairly regularly. Also thinking about others using this platform or at least as a basis for their own platform. My first inclination would be to do something akin to TypeScript where it would compile down to the native syntax of each platform, CSS and XAML in my case. For the time being I will be adding this to my bucket list to investigate a solution down the road. As of this writing there are only two features left in the UWP Client: Archives and External Link handling. There is additional styling and optimization work to be done, but overall once those two features are added I will begin on the Xamarin Forms port for iOS and Android clients. All of the code thus far is committed on GitHub. As mentioned on Friday I wanted to spend some time turning my newly acquired Node.js and Redis knowledge into something more real-world. Learning when using Node.js (and Redis) and when not to over the last 2 weeks has been really interesting especially coming from an ASP.NET background where I had traditionally used it to solve every problem. While ASP.NET is great and can solve virtually any problem you throw at it, as noted by my deep dives it isn't always the best solution. 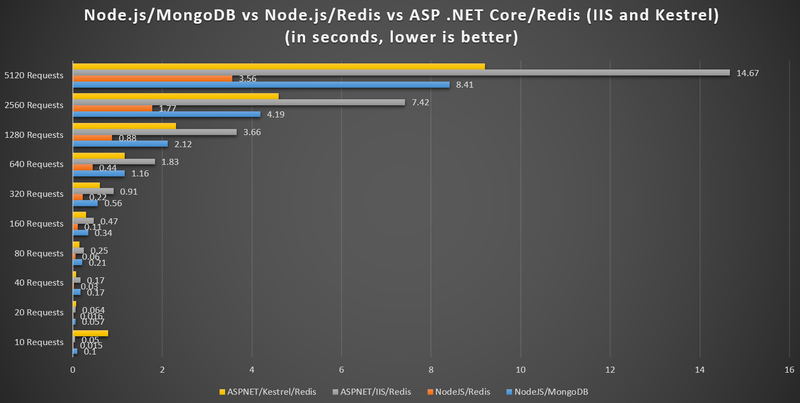 In particular there are huge performance issues as you scale an ASP.NET/Redis pairing verses Node.js/Redis. Wanting to get my bbxp blog platform that powers this site back into a service oriented architecture as it was a couple years ago with a WCF Service and possibly a micro-service architecture, what better time than now to implement a caching layer using Node.js/Redis. This blog post will detail some design decisions I made over the weekend and what I feel still needs some polishing. For those curious the code currently checked into the github repo is far from production ready. Until it is production ready I won't be using the code to power this site. The first change I made to the solution was to add an ASP.NET Core WebAPI project, a .NET Standard Business Layer project and a .NET Standard Data Layer project for use with the WebAPI project. Having had the foresight earlier this year when I redid the platform to utilize ASP.NET Core everything was broken out so the effort wasn't as huge as it could have been if all of the code was simply placed into the controllers of the MVC app. One thing of this restructuring that was new was playing around with the new Portable Class Library targeting .NET Standard. From what I have gathered this is the future replacement of the crazy amount of profiles we have been using the last three years - Profile78 is a lot more confusing than .NET Standard 1.4 in my opinion. It took some time finding the most up to date table detailing what platforms are on what version, but for those also looking for a good reference, please bookmark the .NET Standard Library Roadmap page. For this project as of this writing UWP does not support higher than 1.4 so I targeted that version for the PCL project. From what I have read 1.6 support is coming in next major UWP Platform NuGet package update. After deep diving into Redis with ASP.NET Core in Day 11 and Node.js in Day 10, it became pretty clear Node.js was a much better choice for speed as the number of requests increased. Designing this platform to truly be scalable and getting experience designing a very scalable system with new technology I haven't messed with are definitely part of this revamp. With caching as seasoned developers know if a tricky slope. One could simply turn on Output Caching for their ASP.NET MVC or WebForms app - which wouldn't benefit the mobile, IoT or other clients of the platform. In a platform agnostic world, this approach can be used, but I shy away from using that and calling it a day. I would argue that native apps and other services are hit more than a web app for a platform like bbxp in 2016. So what are some other options? For bbxp, the largest part of the request time server side is pulling the post data from the SQL Server database. I had previously added in some dynamically generated normalized tables when post content is created, updated or deleted, but even still this puts more stress on the database and requires scaling vertically as these tables aren't distributed. This is where a caching mechanism like Redis can really help especially in the approach I took. A more traditional approach to implementing Redis with ASP.NET Core might have been to simply have the WebAPI service do a check if the Redis database had the data cached (ie the key) and if not push it into the Redis database and return the result. I didn't agree with this approach as it needlessly hit the main WebAPI service for no reason if it was in the cache. A better approach in my mind is to implement it a separate web service, in my case Node.js with restify and have that directly communicate with Redis. This way best case, you get the speed and scalability of Node.js and Redis without ever hitting the primary WebAPI service or SQL Servers. Worse case Node.js returns extremely quickly that the key was not found and then makes a second request to the WebAPI Service to not only query the data from SQL Server, but also fire a call to Redis to add the data to the cache. An important thing to note here is the way I did my wrapping of the REST service calls, each consumer of the service does not actually know or care which data source the data came from. In the nearly seven years of doing Service Oriented Architectures (SOA), the less business logic work being done client side even as simple as making a second call to a separate web service is too much. The largest part of that is consistency and maintainability of your code. In a multi-platform world you might have ASP.NET, Xamarin, UWP and IoT code bases to maintain with a small team or worse just a single person. Putting this code inside the PCL as I have done is the best approach I have found. A key point here is the FireAndForget call so we aren't delaying the response back to the client while writing to Redis. A better approach for later this week might be to add in Azure's Service Bus or a messaging system like RabbitMQ to handle if the key couldn't be added for instance if the Redis server was down. In this scenario, the system would work with my approach, but the scaling would be hampered and depending on the number of users hitting the site and or the server size itself, this could be disasterous. With the additional of several more routes being handled by Node.js than in my testing samples, I decided it was time to refactor the code to cut down on the duplicate redis client code and handling of null values. At this point I am unsure if my node.js code is as polished as it could be, but it does in fact work and handles null checks properly. As one can see, the code is much simplified over what would have quickly become very redundant bloated code had I kept with my unfactored approach in my testing code. Tomorrow night I hope to start implementing automatic cache invalidation and polishing the cache entry in the business layer interfacing with Redis. With those changes I will detail out the approach with pros and cons to them. For those curious, the UWP client will become a fully supported client along with iOS and Android clients via Xamarin Forms. Those building the source code will see a very early look to getting the home screen posts pulling down with a UI that very closely resembles the MVC look and feel. All of the code for the platform is committed on GitHub. I hope to begin automated builds like I setup with Raptor and setup releases as I add new features and continue making the platform more generic. I was originally going to deep dive into AWS tonight, but the excitement over redis last night had me eager to switch gears a bit and get redis up and running in ASP.NET Core. I will assume you have downloaded and installed the redis server. If you're on Windows, you can download the Windows port or if you're on Linux. Or search in NuGet for StackExchange.Redis. As of this writing I am using the latest version, 1.1.605. Better, but not as dramatic as I would assume. Seeing as how the performance wasn't anywhere close to that of Node.js, I am wondering if utilzing the DI found in ASP.NET Core would alleviate the performance issues. My original intent was to spend Saturday adding Redis into my blogging platform for caching, but as of right now I will hold off until I can figure out the reason for the huge delta. All of the code thus far is committed on GitHub. After playing around with MongoDB I wanted to try out redis not only for it's performance comparison to MongoDB, but also for practical experience for use at work and in other projects. So tonight I will get it up and running on Windows, make connections in node.js and do some perf testing. You will need to install Redis. If you're on Windows, you can download the Windows port or if you're on Linux. Interested in the performance differences I was not surprised at a direct comparison being so dramatic. I should note these were done on my Razer Blade laptop not my desktop. When I add more functionality to provide full CRUD operations it will be interesting to really do an in-depth test comparing SQL Server, MongoDB and Redis. Tomorrow night I am planning on diving into Amazon Web Services (AWS) to get a good comparison to Rackspace and Azure. In particular for node.js development as I imagine node dev is more commonly done on AWS. On the flight back from California last night I queued up a few Node.js videos on YouTube for the flight, one of which was a presentation by Kim Trott of Netflix discussing Netflix's migration from a Java backend to node.js. I really enjoyed this presentation because it went over not only what worked great, but what didn't - something that doesn't happen too often especially from a larger company. Another highlight for me was reviewing some of the node modules Netflix uses to provide the millions of hours of content daily. One of which was restify. Restify provides a clean interface for routes without the templating and rendering that Express offered - which in my current testing fits much better. As mentioned previously, this point I am going to assume MongoDB is up and running, if you do not, check my first day post for details on how to get it up and running. In diving into restify I found another module that goes hand in hand, restify-router. As detailed on the aforementioned link, this module offers the ability to have more separation for all of the routes (similarly to those coming ASP.NET like myself who are used to specific *Controller.cs files per grouping of routes). I should mention I have removed the worker.js from the git folder for Day 9 as I am now utilizing pm2 as mentioned in yesterday's post. For those following my deep dive this should look very similiar to the Express code with the addition of the testRouter reference which I will go over below. Similiarly there is not much difference from how the older route definitions, the only big difference is the first line requiring the restify-router module. As mentioned last night I am still investigating why on Windows only one worker process is getting hit verses utilizing all of them. I tested this on my i7 desktop and had the same results as my 2014 Razer Blade. I hope to further deep dive into restify tomorrow night and hopefully resolve the weird scaling issue I'm noticing. 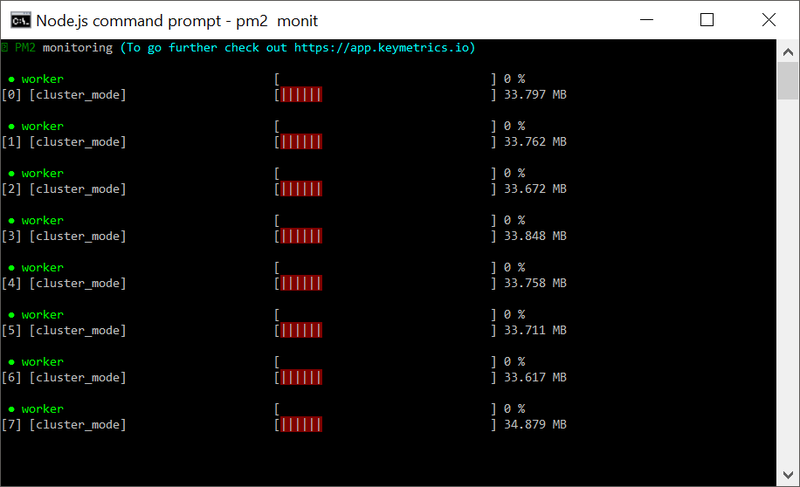 After some deep diving into other developer's comments and overall plans for my deep dive I chose pm2. From there you should see pm2 kicking off a process for each of your cpu cores available. In my case, my 2014 Razer Blade laptop has 4 cores/8 threads so it kicked off 8 processes. If you wanted to limit the number of processes you can specify a different number instead of 0.
command to stop all of the processes. Hopefully this was interesting for those following me along my deep dive in to node.js. I am excited to keep deep diving into pm2 tomorrow. An issue I was running into on Windows 10 (need to try it on Linux) is that only one process was being hit at ~65% according to pm2. Whether this is a Windows specific issue, a problem with pm2 or a problem with my code I need to further dive into. As mentioned yesterday I wanted to abstract out the config settings and look into a way to better take advantage of the hardware at my disposal like I can with ASP.NET. Node.js being single threaded has a huge disadvantage when run on a multi-core server (as most are these days). Knowing there were work arounds I was keen to figure out what they were and then compare the "out of the box" mode verses using multiple cpus. This way I can keep my code free of magic strings, while still having all of my configuration settings in one file. As it would turn out, Node.js had a built in module called Cluster that as the name would imply adds support for creating child processes of node.js. In doing comparisons between the single threaded approach and the new cluster approach there wasn't a distinguishable difference, which leads me to believe at least on my 2014 Razer Blade laptop the bottleneck is the MongoDB database not node.js. When I get back home I hope to test this new code on my i7 desktop to see if there is any discernable difference between the cluster approach and the single threaded approach when using a MongoDB database. In addition, ensure that MongoDB is configured properly with Mongoose since the ASP.NET Core performance exceeded node.js's. All of the code thus far is committed on GitHub. Today's posting is a intro for myself into mongoose, a popular object modeler for node.js. This continues my deep dive into learning the node.js equivalents to what I used to in the ASP.NET world, for this post in particular in how mongoose compares to Entity Framework. As I mentioned in yesterday's post I wanted to clean up the code further in particular all of the MongoDB code. Knowing Mongoose would help in this regard I replaced the MongoDB code I had with interestingly enough less code and an object model for my "Posts" object. The process was fairly similar to a code first approach with Entity Framework so very comfortable. If you have followed the posts so far you will see there is no database specific connection objects or init calls cluttering up the business logic. In addition Mongoose made saving objects extremely easy by having a save function on the object. Overall simply adding in Mongoose has cleaned up my code, next up is the configuration component to remove the hard coded port number and database connection information. All of the code thus far is committed on GitHub..